Congratulations to Mark Doody who was the winner of this competition. 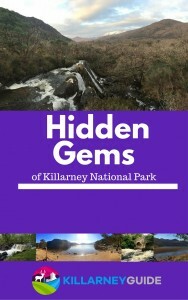 Watch out for more competitions from Killarney Guide coming soon. We have teamed up with Kerry Outdoor Sports who have given us a super prize to give away to one lucky winner. The Sealskinz gear is great for staying warm and dry if you’re out and about – whether it is walking, cycling or climbing. They are invaluable if you are cycling on a wet day – I’m speaking from experience! Details of the competition are below – good luck! Remember, you can increase your chance of winning by sharing the competition details or visiting the Kerry Outdoor Sports facebook page after you’ve entered.